Goodbye school year (for my kids at least) and Hello summer (and not getting up at 5:30 so I can get the kids ready for school). You would think that would mean more scrapping time, but this mamma like to hang out with the kids whenever she can (as well as still work...that whole need to pay the bills thing). 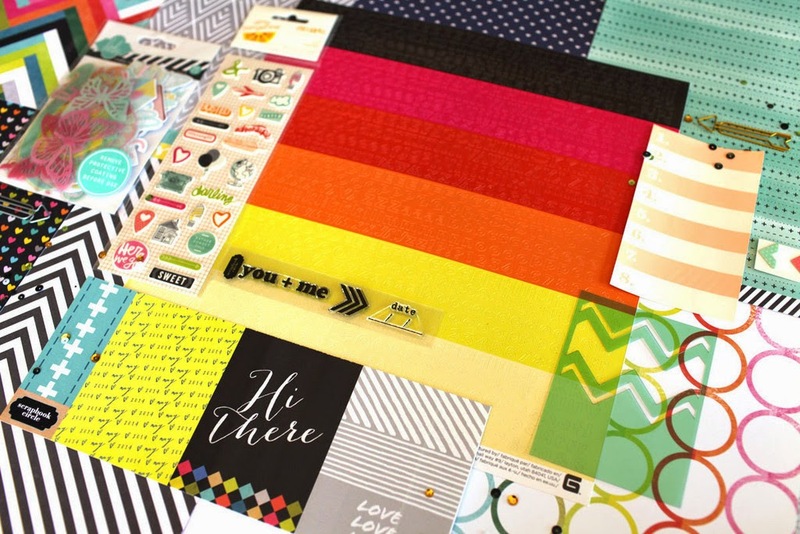 Luckily, My Girl likes to scrapbook, so hopefully we can carve out some time together. We have two great choices for you that really play off of our Blog Event from last month! Get ready for some COLOR! Both kits are bursting with vibrant colors and have a nice addition of either black or wood grain. I love them BOTH (as you will soon see on the hop)! Unfortunately we do not have a Guest Designer for this month...we never got a response, so be on the lookout on your blog posts! 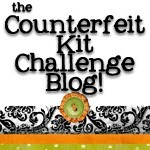 I usually will ask in the comments for you to e-mail the counterfeit kit challenge so I can ask that very important question! We DO want to say a sad goodbye to Milissa Miller. She is moving on from our DT to focus on life stuff. We will miss you, Milissa! Make sure you stop by her blog HERE and give her a big virtual hug! Who wants to see our completely fabulous kits? I thought so! Here is the list...get inspired and get hopping! Lovely choices. I've sorted mine out, must now arrange photograph and link! WOWZERS! 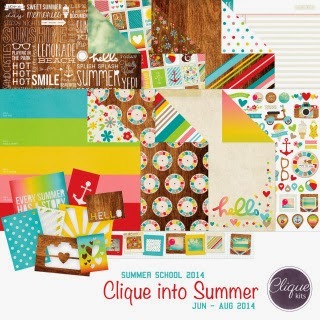 I just love these kits, great summer time scrapping to do with it and the prize I won from the challenge here last month will fit perfectly with either kit! Fantastic! Shoot gone today so gotta wait till tomorrow to get my kit together! Thanks a bunch to the to you all Bethany and the Design team for what you do on the blog, I enjoy it very much! What a feast for the colour hungry. Appetizing colours playing of supportive blacks and wood grains. Makes me think of a scrapbook sandwich. BTW, link for Summer School, not working for me. wow, these kits are amazing!! Sorry to see Milissa going..... a wonderful contributor! Summer school not working for me either..and no June linky yet? These look like big fun! I just didn't have time to play last month, but I'm back and can't wait to get stuck in!